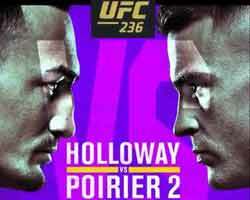 Review: 2014-08-16, some good exchanges but it is not enough to get three stars: Ryan Bader vs Ovince St Preux gets two. Ryan Bader entered this fight with a professional mma record of 17-4-0 (59% finishing rate) and he is ranked as the No.10 light heavyweight in the world (currently the #1 in this division is Jon Jones), he suffered his last defeat last year when he faced Glover Teixeira (=Teixeira vs Bader), after that bout he won over Anthony Perosh (=Bader vs Perosh) and Rafael ‘Feijao’ Cavalcante (=Bader vs Feijao). His opponent, Ovince St Preux, has an official record of 16-5-0 (75% finishing rate) and he entered as the No.19 in the same weight class, he lost his last bout in 2011, against Gegard Mousasi (=Mousasi vs St Preux), since then he has collected five consecutive victories. 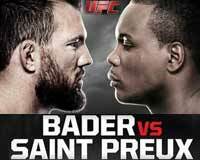 Bader vs St Preux ‘OSP’ is the main event of UFC Fight Night 47. Watch the video and rate this fight!